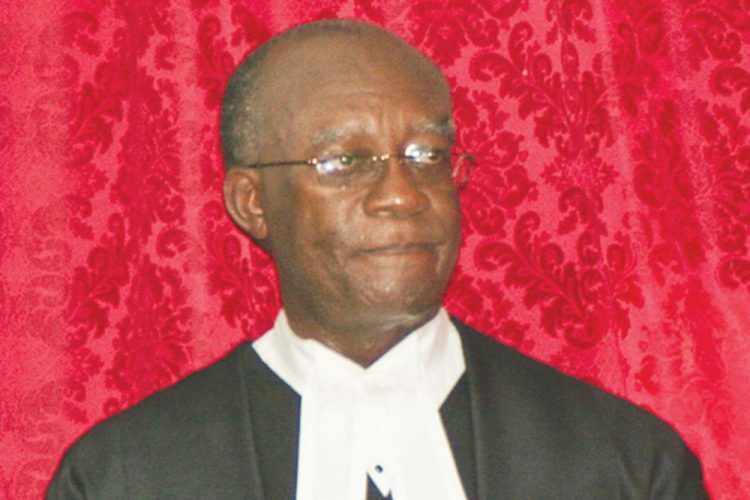 Parnell Campbell QC, a former Attorney-General here, admitted on Monday that he was so upset by the failure of the Opposition to thank Judith Jones-Morgan for her service, that he walked out of Parliament. On his television programme âThe Law and Youâ, which aired on SVG TV on Monday, Campbell said he attended a sitting of Parliament on Thursday, October 5, and included on the agenda was an item during which tributes would be paid to Jones-Morgan, the outgoing Attorney-General. Campbell, who served as Attorney-General here for eight and a half years, said he listened to tributes offered by five members of the Government side, including Prime Minister Dr Ralph Gonsalves. Campbell noted that all members of the Opposition were present, with the exception of Leader of the Opposition Dr Godwin Friday. â…Not one of them chose to speak on the topic. Not one! To me, it was a bit of a disgrace. They obviously had taken the policy position that nobody would have the manners, the graciousness, to get up and say, well, we did not agree with the lady, but we thank her for her service, or words to that effect. One sentence, two sentences. But nobody got up on the Opposition side to say thank you to a lady who gave sixteen and a half years of service as Attorney-General. I was simply appalled that I had to leave the House immediately. I could not take it,â Campbell declared. The topic of last Mondayâs edition of the Law and You was âPolitical Tribalismâ and Campbell said both sides of the political divide here regard the other with enmity. He cited as another example of political tribalism the daily denigration on radio stations of people, oftentimes with lies, innuendo and slander.